There is a feeding frenzy going on in Lawrenceville, all around this South Florida chain that’s moved in at the corner of 316 and 120. 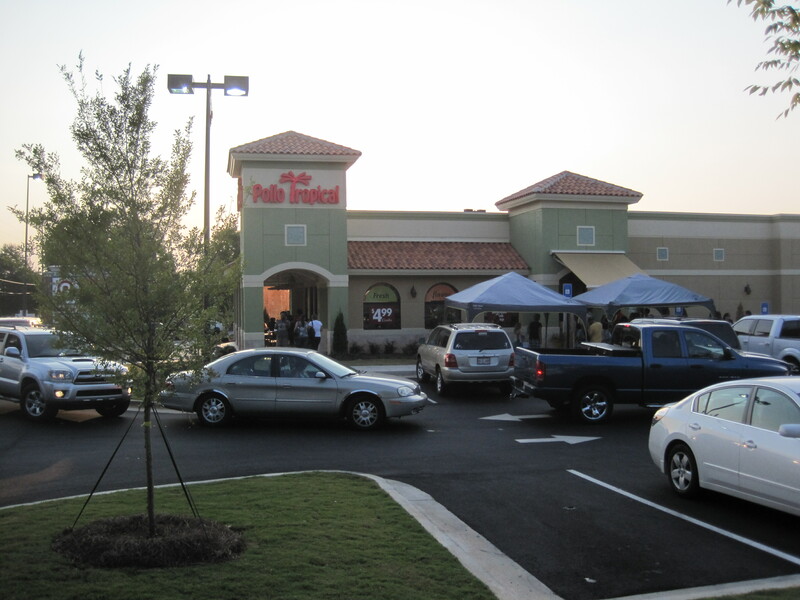 Pollo Tropical has opened, and the wait to get into this modest chain is something like half an hour, cars are lined up out of the lot to get to the food. The crush for $5.99 chicken plates is tremendous. It’s been open since August 16th and taking the local area by storm. 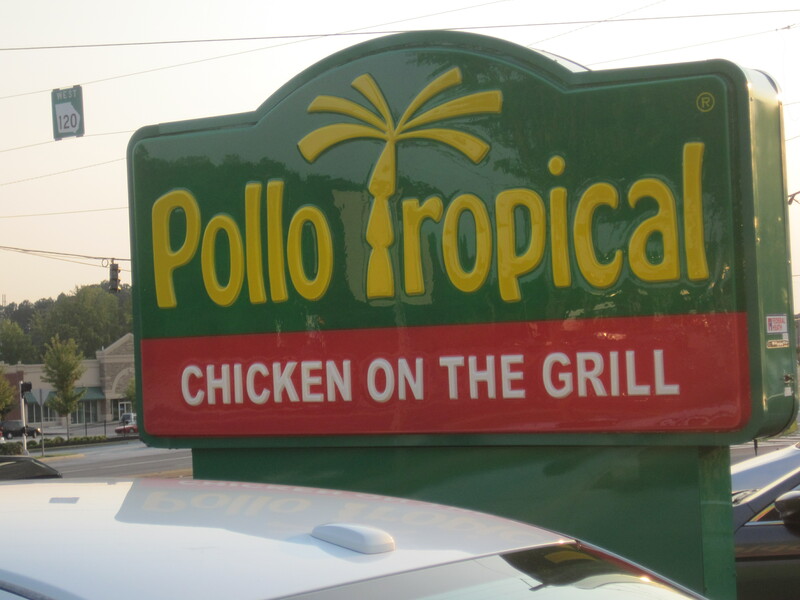 If you examine Urban Spoon for typical Pollo Tropical chain locations, they are rated anywhere from the low 70s to high 80s, quite a spread. Central Florida’s Good Eats (an Urban Spoon prime reviewer) has an article here on the Sanford location, which might give you a feel for one blogger’s perspective on the restaurant. I haven’t eaten there. For work and home reasons I can’t really wait this out. When the crush becomes bearable, I’ll try, but heads up for those of you who are “into” the fusion of Florida and Caribbean cuisine this chain represents. 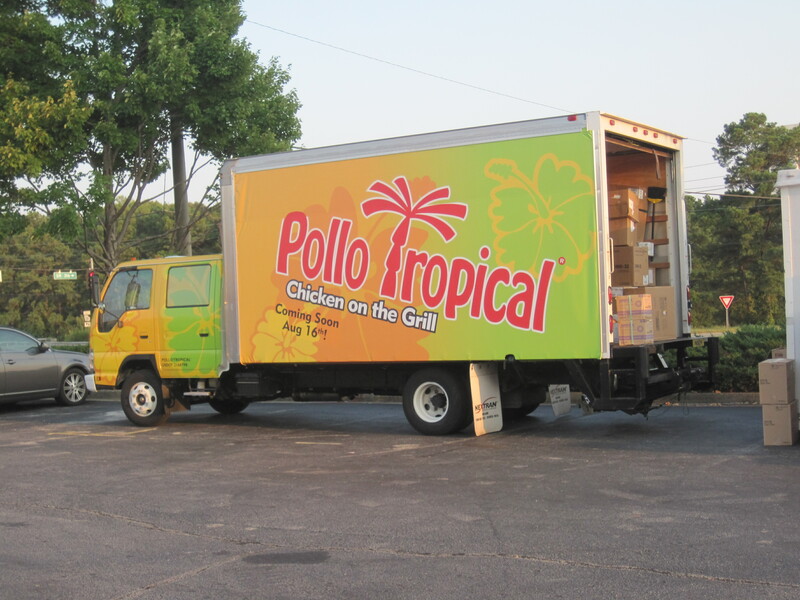 PS – Kudos to Lawrenceville Patch, which has a nice intro article on Pollo Tropical. This chain is also referenced in the Wikipedia. 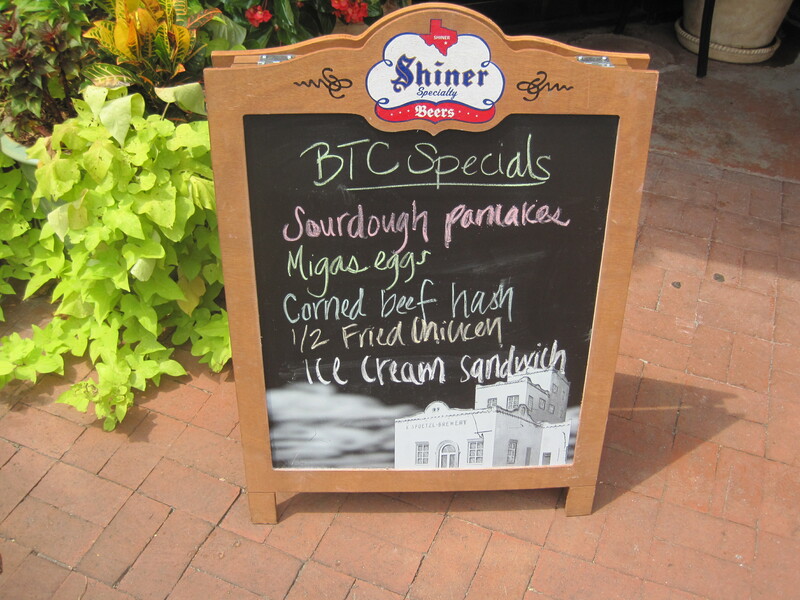 If you haven’t had Big Tex’s corned beef hash, you’re missing out. Yes, this is one time I have to unleash my foodie superego, that urge to tell others what to do, where to go, and how to eat. I don’t do this often. Perhaps the last time was for Haru Ichiban’s paper hot pot yosenabe, but this is another time. Yes, just go. Try it. And tell your friends what you think. 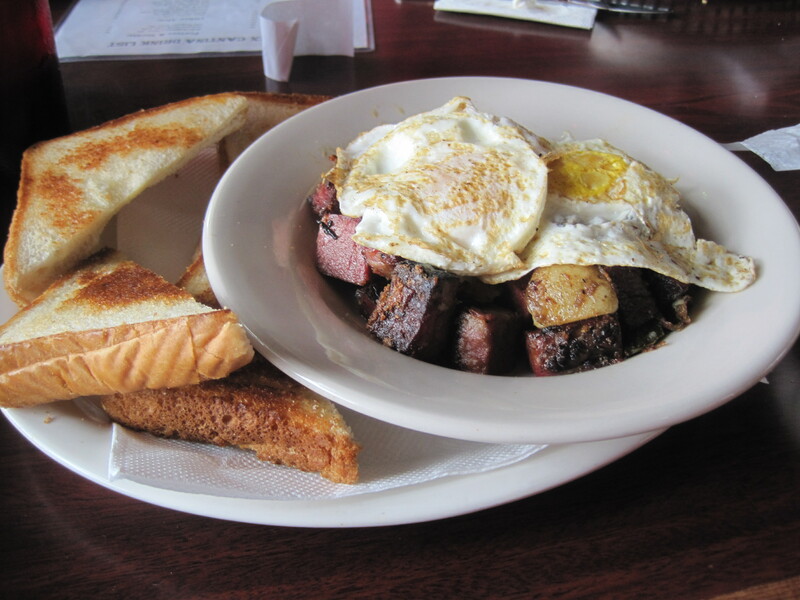 The corned beef hash is a smoked meat heaven. Yes, I know, Foodie Buddha said he didn’t like it. To be fair, the rational side of me thinks this is merely a product of FB coming early to restaurants before their teething period is complete. Just go. Make up your own mind. The other things they serve range from decent to pretty good. 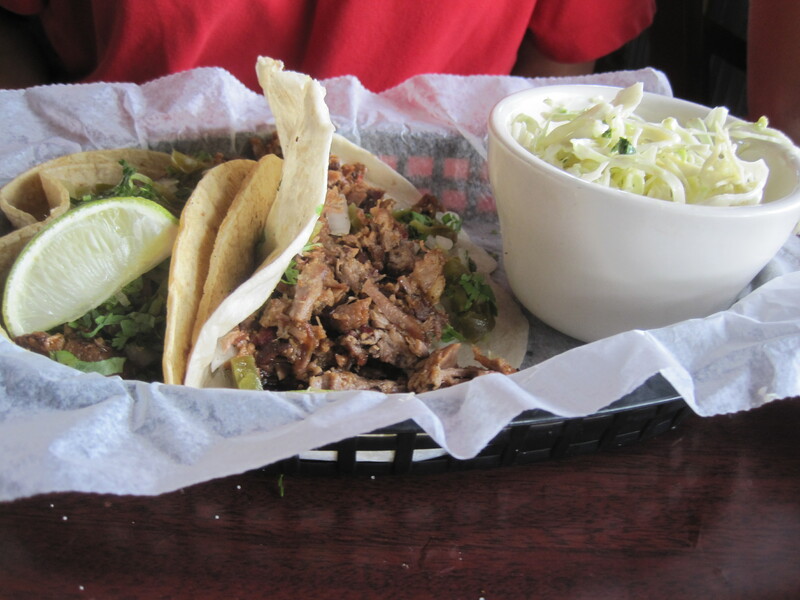 They know they have a winner in terms of their brisket, that’s why it’s featured in three different tacos. Their sides are good. 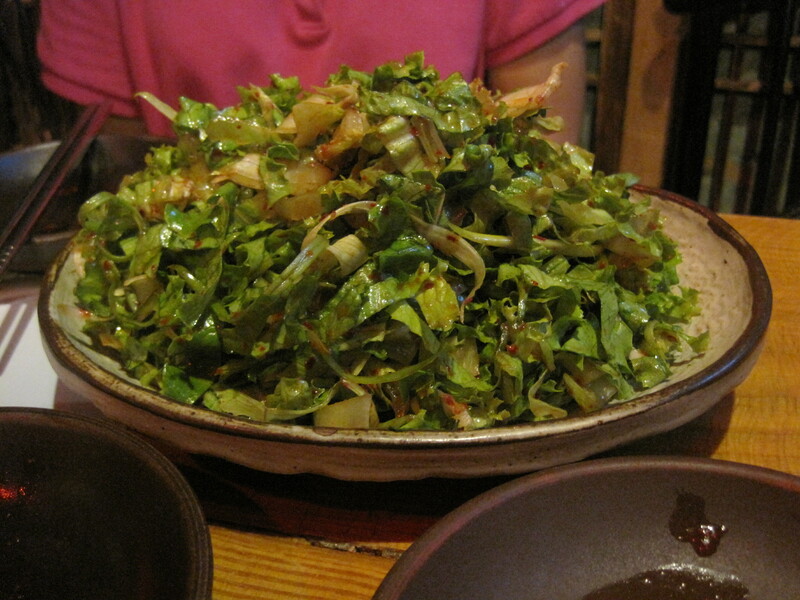 I liked both their slaw and their turnip greens. 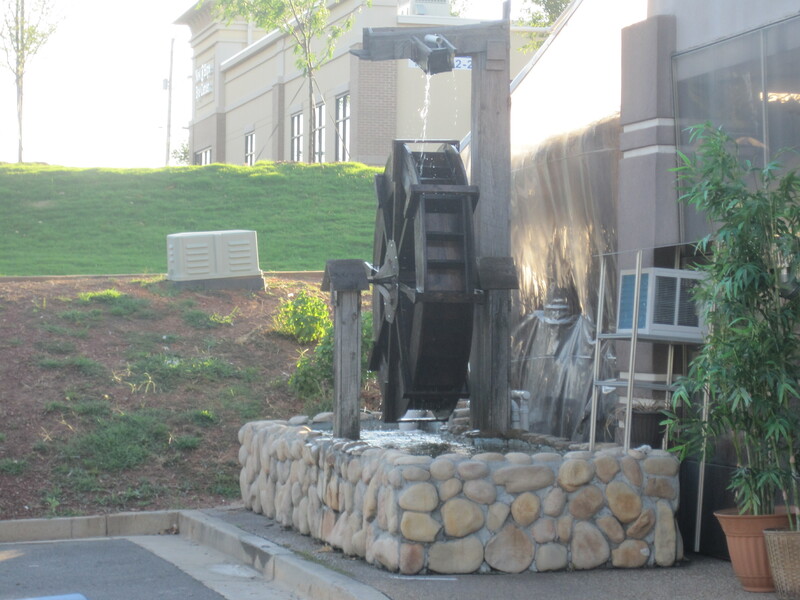 This virtue is a holdover from their parent, Fox Brother’s Barbecue (see here and here). There are a bunch of burgers here, something of a hat tip to Houston’s Goode Company Hamburgers and Taqueria, which was doing the same back in the 1980s (though back then the word “hamburgers” wasn’t in the name. GCT was the the first place I ever had pico de gallo on a burger, and at the time, was the best burger in the city, bar none). There are, of course, enchiladas, yellow cheese, and yellow queso. 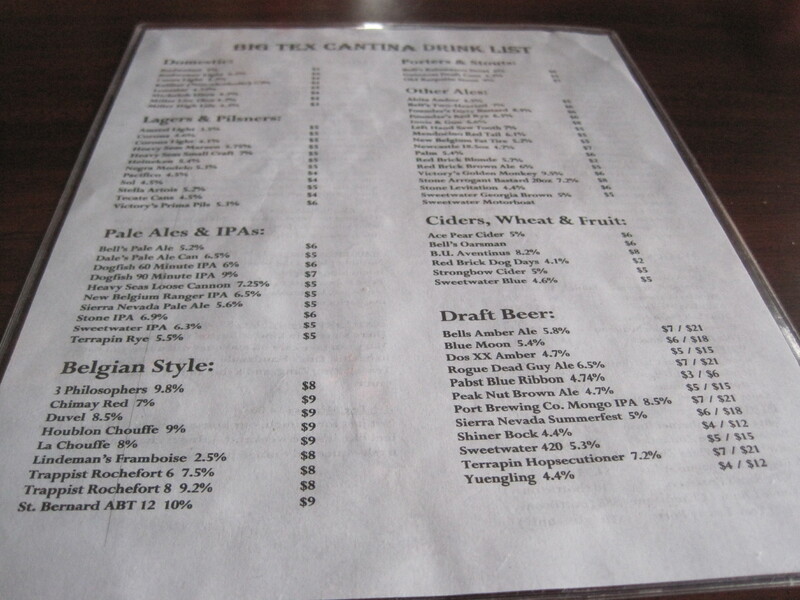 The beer selection is quite good. Does this place compare, say, to a cornerstone Tejano icon, such as the original Ninfa’s on Navigation in Houston, back in its heyday? No, not really, but it’s not supposed to. The appropriate comparison is to Guy Wong and his endlessly inventive foods in Miso Izakaya. It’s not a copy, it’s a jazz riff off the original idea of Tejano. Expect some hits, expect some misses, expect them to grow into their menu and to slowly adapt the form to what the Fox Brothers do well. It may not be a home run now, but the corned beef hash is a solid hit of a dish, and I expect more from this place as it evolves. Outside, from a distance, Sun and Moon Cafe looks a lot like a coffee shop, and inside, with the rich use of thatched wood, comes off a bit like a tiki bar or the inside of a piece of rattan furniture. The clientele are mixed: a lot of very young men and women, and some older folks. The best comparison, ironically, is Iron Age, and while I’d be happy taking my San Francisco in-laws to Iron Age, I’d not take my father there. My father would be comfortable in Sun and Moon Cafe. 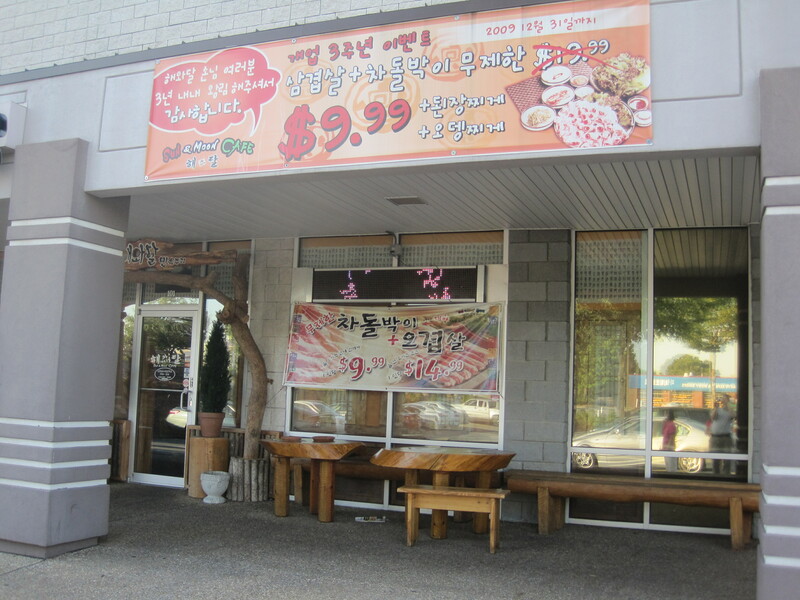 This is, for those of us not fluent in Korean, largely a Korean BBQ joint, all you can eat. They serve pork belly and beef brisket, pork thick sliced. 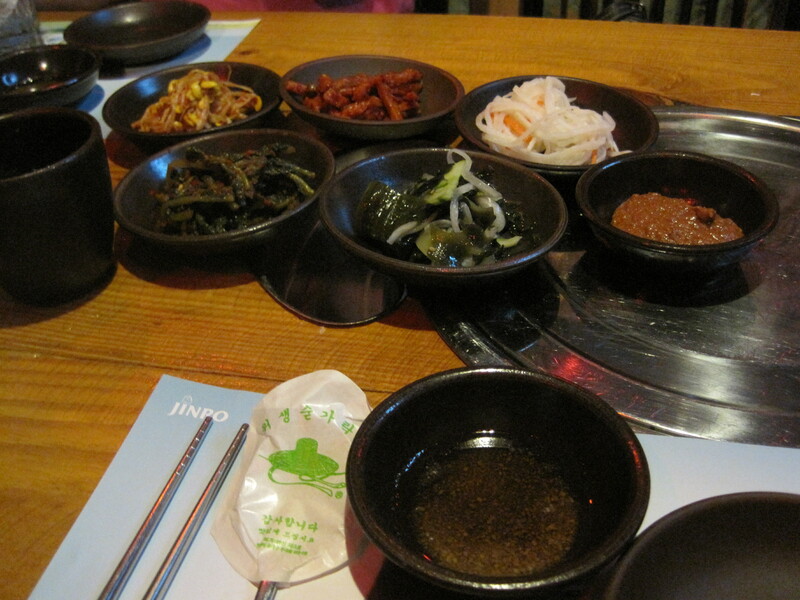 They have a nice assortment of banchan, come out with plenty of a lettuce salad early on, and about half way through the meal, will drop a pot of boiling soup into your lap. You can get rice (Korean brown rice, a mix of rice and a bean) if you ask for it. Service is very good in the beginning, lax towards the end. They expect you to use the “waiter” button, provided on each table if you need service later. 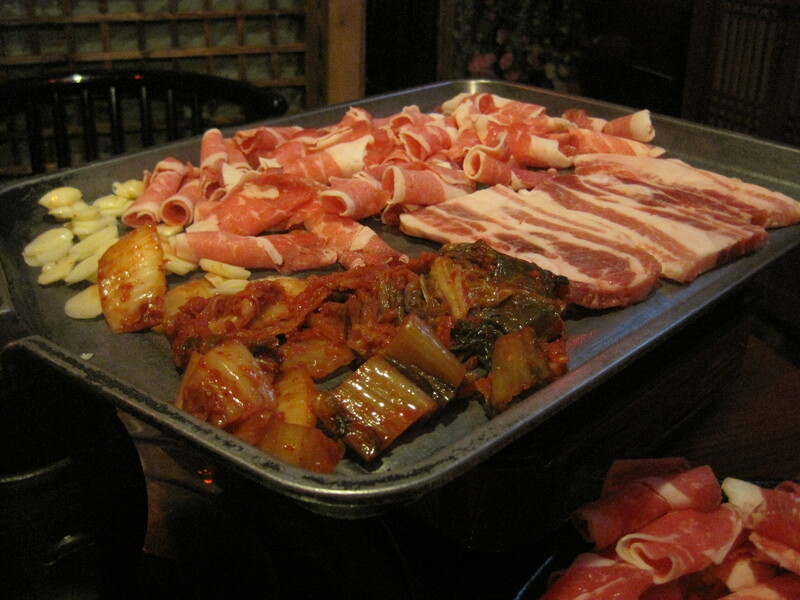 They will cut up and stir your meats, and the meal comes with plenty of garlic and kimchi on the iron plate. If you drink alcohol, the all you can eat is $9.99, $14.99 otherwise. Consequently, it gets louder the deeper into the night it gets. By the time we left, it was getting loud for us, but perhaps we weren’t as hungry then. 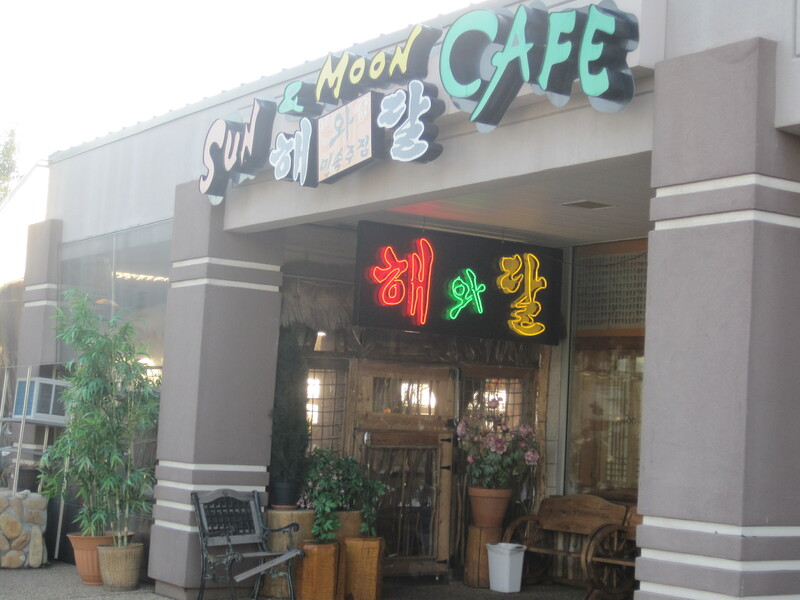 Both Sean and Gene have excellent reviews of Sun and Moon Cafe, highly recommended. The first time I really enjoyed duck was the Wor Sue duck at Canton Cooks, and when it’s good, it’s a dish with three signature virtues. It has a crispy outer skin, a liquidy layer of fat just under the skin, and then tender flavorful meat. Guess what? Those same virtues were featured big time when we recently had the smoked duck at Peter Chang’s. 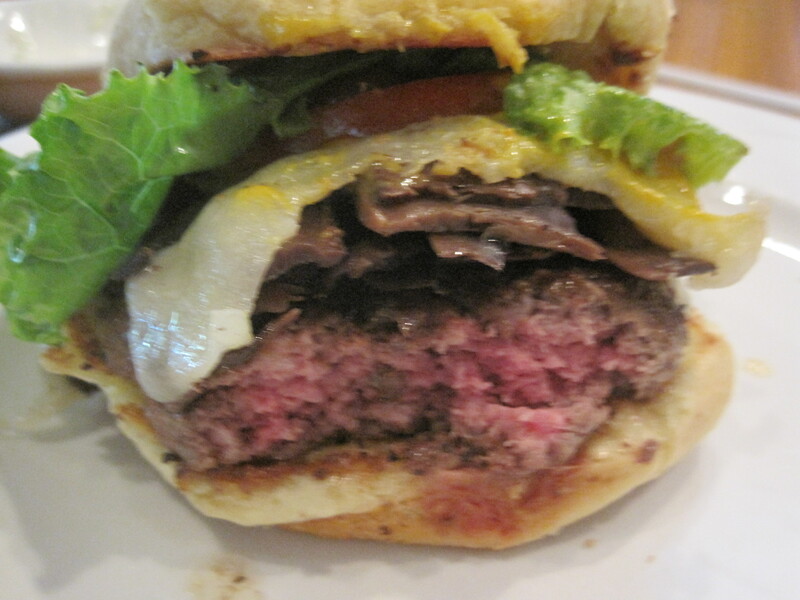 Crisp skin, tender and very juicy meat, and the layer of fat that leads to a triple texture whammy as you imbibe. 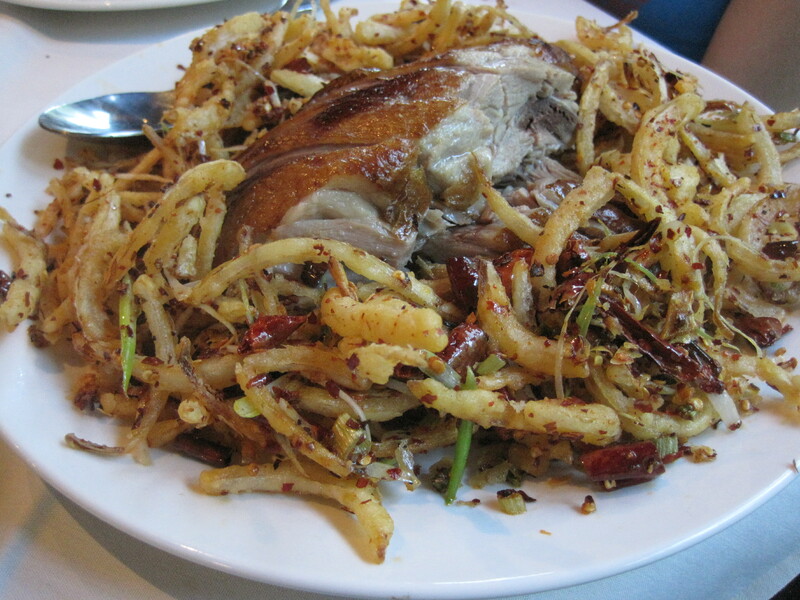 Yes, the dry fried eggplant was great, the Shan City chicken was good, but this dish was the best at the table, by far. There is a new blogger in town, talking about barbecue in Georgia, and one of his first posts takes on Swallow At the Hollow. He’s generally polite about the experience, but notes that they don’t smoke their ribs. That’s an experience I’ve noted and so has Cynical Cook. I’m hoping he isn’t in for the amount of nonsense I’ve suffered in various parts for being impertinent enough to make such a statement. The online issues are noticeable. To be plain, there are some restaurants that gather zealous online fans. Cans Taqueria is one. And the more I think about it, Swallow at the Hollow is another. It’s as if any direct statement of the form “Swallow just doesn’t produce competition style ribs” — which IMO, they don’t — is immediately challenged, largely by huge doses of online testosterone, and occasionally, by the totally mystifying media post. There is a pretty colorful quote by Trevanian that correlates the size of a Frenchman’s “ego” and the way he drives his car. The same can be said for certain fan’s reactions to their favorite restaurants. Somewhat less cynically, there are (simplified) two camps of barbecue eaters. There are those who want their ribs richly smoked and others that want them fall off the bone tender. Turns out, you can make very tender ribs with some smoke, if my recent experience at Fox Brothers is any indication, but the other camp is represented by SATH, Fat Matts (if others are correct), Smokey Bones, Golden Corral, and just about anyone who can effectively broil meat. Well smoked ribs are much harder to find, and the others, sad to say, can be found most anywhere. 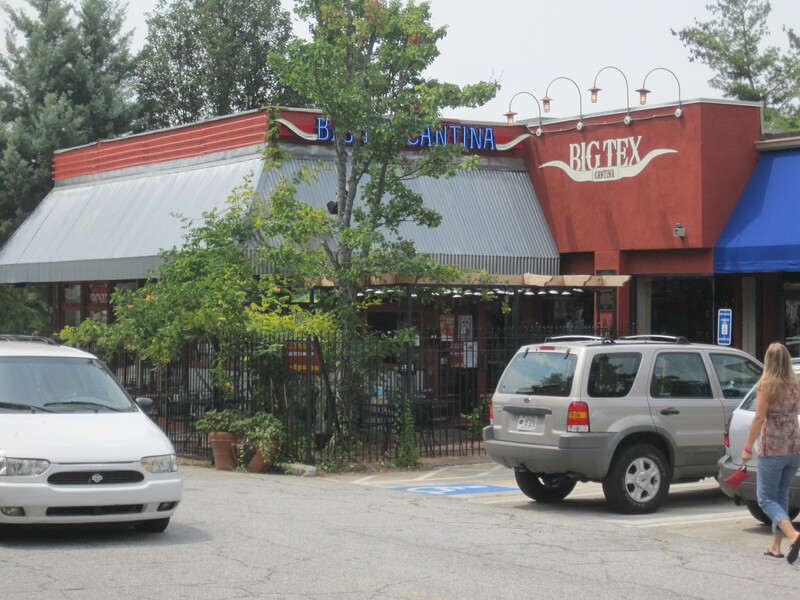 Lucky’s is on the left as you’re heading north up Alpharetta Street, relatively easy to see and with plenty of parking. 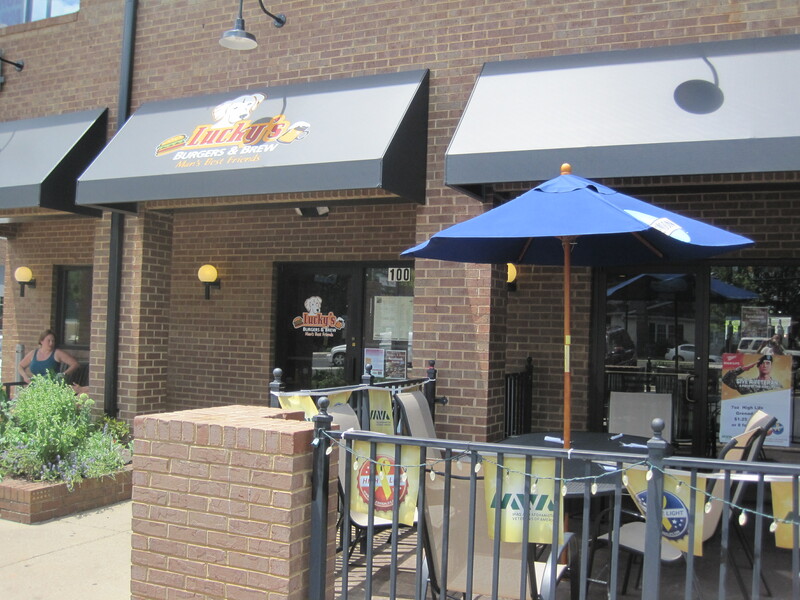 It is named after the owner’s dog, and it has been noted in other reviews that dogs can eat here if they sit outside on the patio. 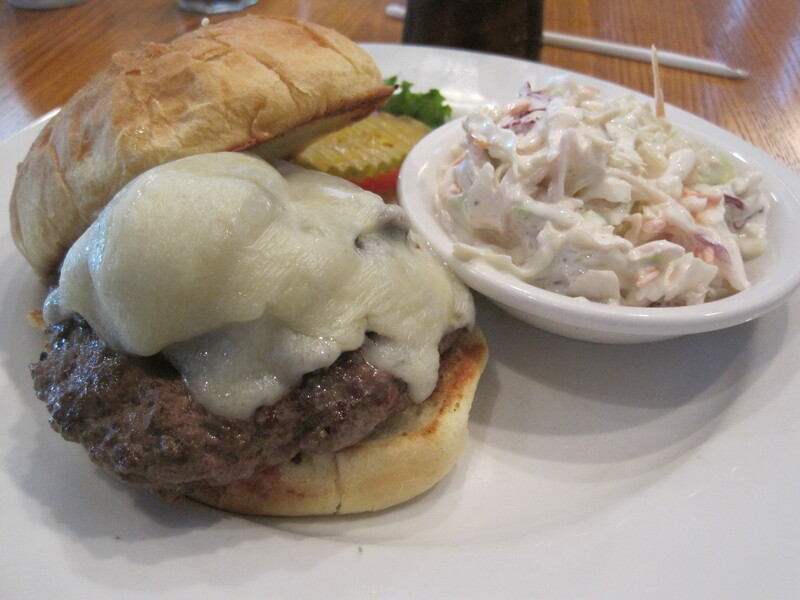 But the biggest reason to head here is a well priced burger made to order. 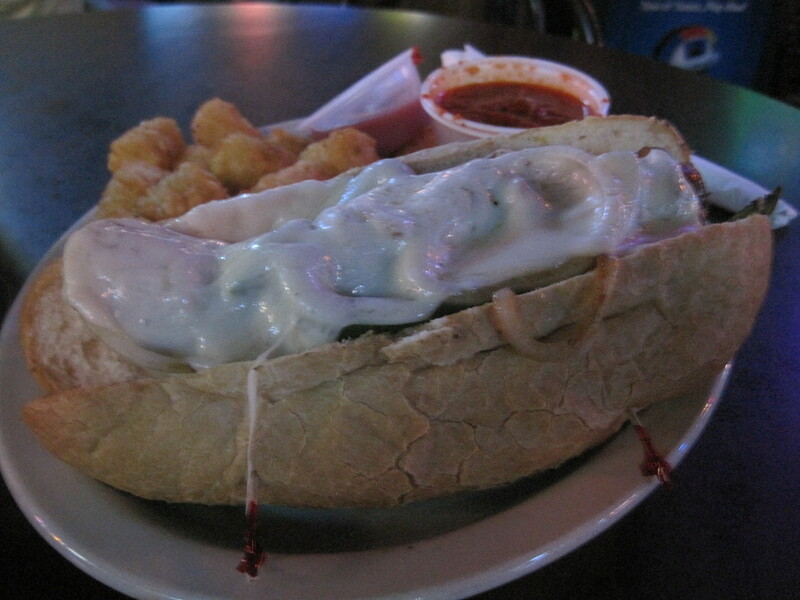 That’s what we had when we dropped by, and that’s exactly what this place can deliver. Want a medium rare burger? You’ll get one here. Inside, the dog theme continues with photos of Lucky pretty much everywhere. The look inside is functional, not beautiful, but clearly clean and neat. Staff are friendly and efficient.